With the final installment of Breaking Bad set to debut next month, devotees of the greatest show ever are all on edge, awaiting to find out how things will wrap up. Enter, "The One Who Knocks", aka Walter White, aka Heisenberg, and his signature pork-pie hat. 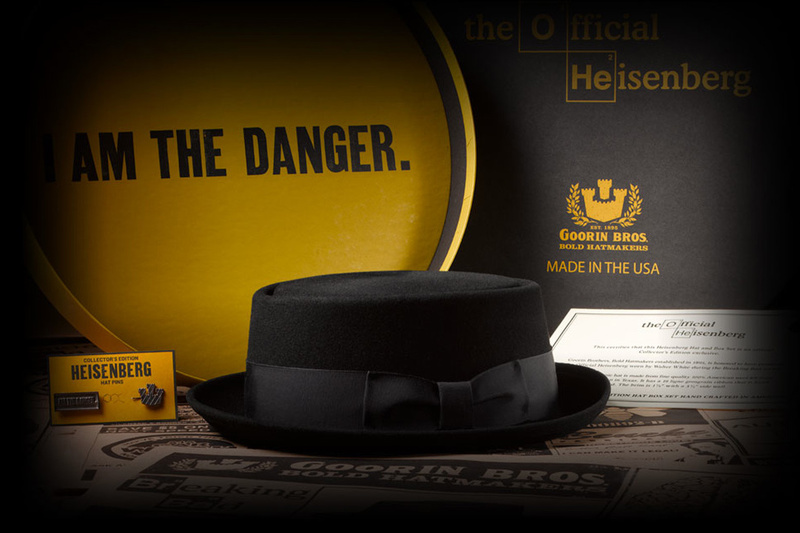 This limited edition Goorin Bros. Heisenberg Set ($195) includes custom hat pins, an American-crafted hat box, and of course, the only wool felt lid worthy of any anti-hero. Only 1,895 of these sets will be made, so fire up the Aztek, and head to the Goorin Bros. hat shop in San Diego. You don't need to be a getaway driver to get away with wearing a pair of Autodromo Stringback Driving Gloves ($110) — but it wouldn't hurt. 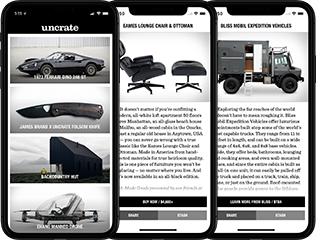 A leather palm gives you a firm grip on the wheel without the need for white knuckles, and a crocheted-cotton back keeps your hands from getting clammy when you're weaving through lanes. The short, split cuff keeps your watch within easy view, so you'll always know when it's time to put it in gear and go. It doesn't really matter what you need it for — unless you're going with a gold-handled model and a pimp-style outfit, most walking sticks don't enhance your look. The Top & Derby Cane ($70) aims to change all that. It features a handle with a cast aluminum core and a soft silicone grip, a solid American black walnut shaft with a coating that both protects the wood and brings out the natural grain, and thermoplastic rubber tip that's resistant to abrasions and sports sneaker-inspired tread for added traction. Expected to arrive this September. The most rugged boots around won't do you much good in the wilderness if your laces can't hold up to the abuse. With Castle Brook Paralaces ($6-$8), that won't be an issue. These hand-crafted bootlaces claim to the toughest available, thanks to seven-strand construction with 550 lb-tested Nylon Kernmantle rope, aglets made from polyolefin plastics that literally bind and mesh with the nylon fibers underneath, becoming one with the lace, and a lifetime guarantee. Try finding one of those for the laces that came with your shoes. Driving is fun. Driving in the snow and cold can be fun. But driving with cold hands? Never fun. This Tanner Driver Glove ($75) keeps the fun factor high and your digits warm with authentic deerskin that starts out supple — to give you better feel behind the wheel — and further and softens and conforms to your hands over time, until it's almost a part of you. A part that you can take off when the weather gets warm. Which is good, because you'd look rather suspicious rolling around with gloves on during the summer.